Save Camberwell! - What has Brumby's government got against Camberwell? 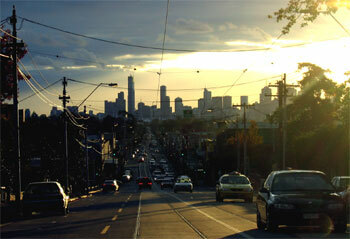 What has Victoria's Premier Brumby got against the residents and retailers of Camberwell in Melbourne's east? Camberwell locals have for over six years made very clear to the Victorian State Government of their opposition to high-rise and high-density development in Camberwell. Locals and their council have rejected highrise plans for Camberwell Junction and their heritage railway station. The Brumby Government not only ignores the rights and concerns of locals. Its planning minister has purportedly intervened in VCAT to overrule council's planning decisions. This is more than an undemocratic planning process; it borders on State corruption. Read more about Save Camberwell! - What has Brumby's government got against Camberwell?